Amana is one of the brands that cost-conscious consumers choose consistently. But don’t mistake affordable for cheap. The Amana ASZ13 13 SEER heat pump is highly rated and backed by a very solid 10-year warranty that is as good as those offered by Carrier and Lennox, considered among the top brands in the industry. In this installment of our HVAC prices series, we share a post from Lewis in Jefferson City, Missouri. He gives the Amana ASZ13 13 SEER heat pump price he paid and how he came to his decision – and more! “We’re not the greenest folks around but are interested in doing more. So last year we decided to retire our 15 year old 80% efficient gas furnace. We made the decision to go with a heat pump and air handler equipped with a 20kw heat kit because there’s been a lot of talk in the city about clean energy initiatives and trying to get power from renewable sources. If the cost of electricity comes down in the next 5-10 years I want to take advantage of that, as well as continue to move toward a more green lifestyle. What I should have done was do a better job researching the heating and cooling company. The owner left a message on our voice mail at 9 p.m. the night before the scheduled date for installation, saying they would have to change their day, as an emergency had arisen. When I called the office the next morning the receptionist let it slip that the owner had been given the opportunity to play golf at one of the nicer private courses in the area. Perhaps to the avid golfer that qualifies as an emergency – to this disgruntled customer it did not. I didn’t want to hassle with finding a new contractor, or get the receptionist in trouble, so when he called that evening to reschedule I played dumb. Seems his schedule was tight for the next few days and then he was leaving on long-awaited 10-day fishing vacation. We scheduled for almost 3 weeks out and I hung up. Up to 13 SEER when properly installed. Quality scroll compressor that reduces energy use. R-410A refrigerant that does not contain ozone-damaging chlorine. SmartShift technology to enhance short-cycle protection. 2-speed condenser fan motor for quiet and efficient operation. Factory installed filter dryer, suction line accumulator, high-pressure and low-pressure switches. Sound-reducing foam compressor cover and high capacity sound muffler. Sound control top for reduced noise. Components that have been rigorously tested for durability. 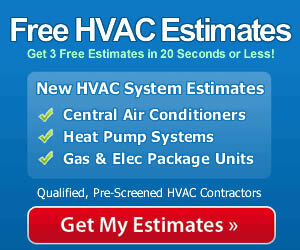 It is important to choose a qualified contractor to install your heat pump system. They have the training, experience and specialized tools to do the job properly, assuring the best performance, peak comfort and greatest longevity from the system. Improper installation can lead to system failure or even to dangerous situations. Choosing a qualified professional with a good reputation is the best way to get the service you expect from your new heat pump.